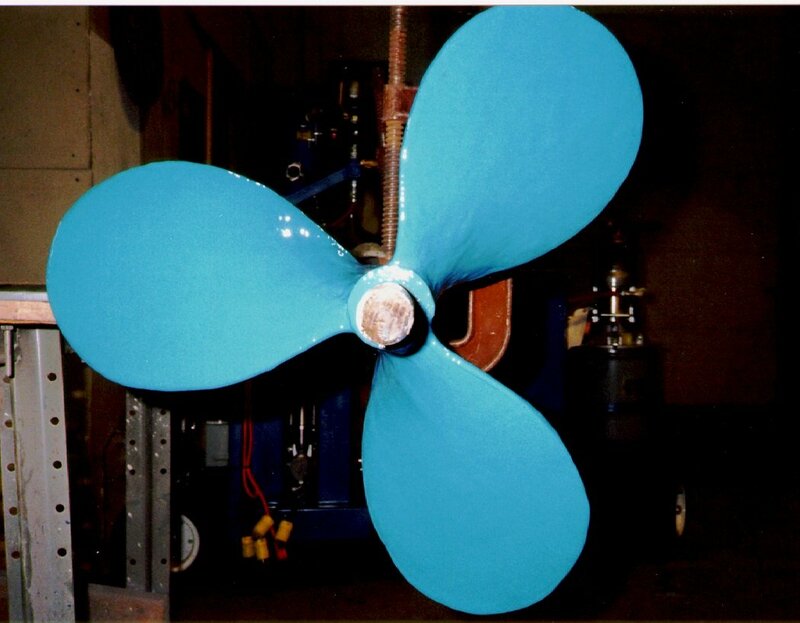 Cast steel chemical mixing propellers exposed to harsh liquid environment. 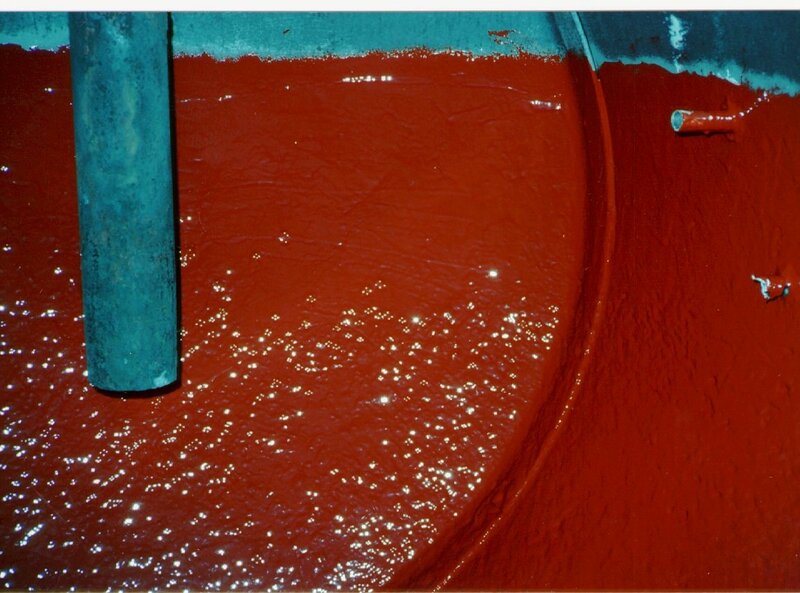 Arcor™ S-30 was installed in two coats with ARCOR™ TS-RB applied between coats to build up areas of metal loss. 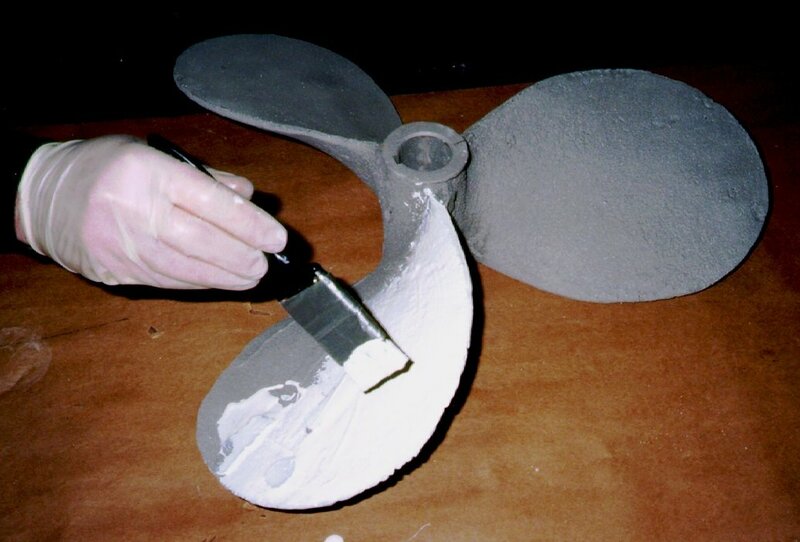 Mixing blade was coated in August 1991. 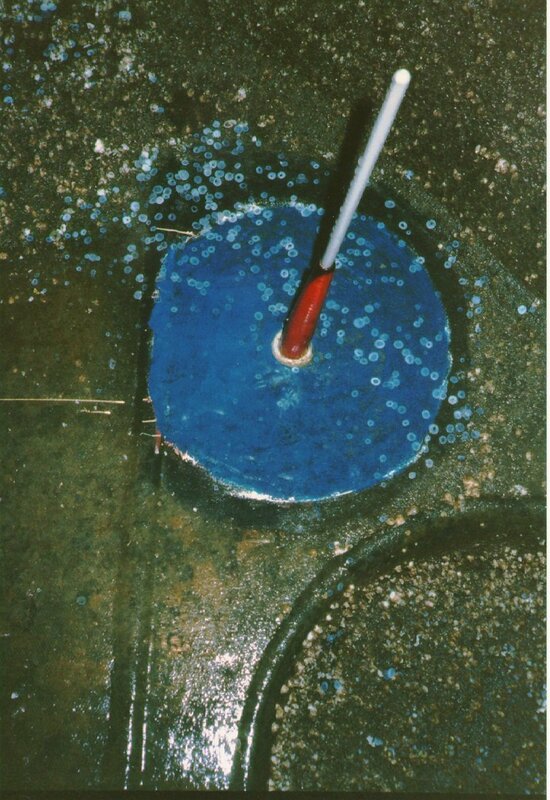 The coating was inspected on a monthly basis for the first year, showing zero defects. Inspections are now performed on a six-month basis and touch up or repairs have not been necessary. 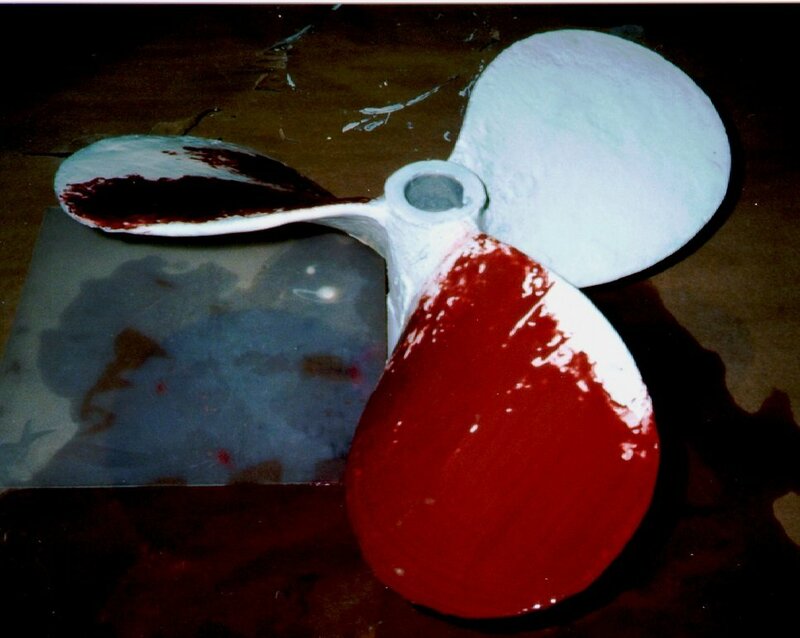 Application of protective primer coat. Application of TS-RB rebuilding compound. Completed with ARCOR S-30 Blue top-coat.